I love the time of year from November 1, all the way through to January. I love times of gathering, fellowshipping, and most of all loving one another. Planning what we’re going to prepare to take to mother’s house was always top discussion between Wanda, Aimee and myself. We’d call each other every day to see if who had come up with some new fangled recipe. —To delight the others. Me either Beth. Aren’t we planners as well? When planning a celebration, don’t we try to work it out so that “everyone” can attend? I don’t know about you…but I like to think that the “taking names” (for tax purposes!) was something that God used as well. I mean Joseph and Mary had to travel back to Joseph’s home town. I kind of imagine that he had a few friends there. Perhaps some relatives. Just for my own contemplative thinking, I like to imagine that he couldn’t go to them at the late hour for a bed for his bride because maybe he wasn’t sure of where they lived now…maybe he didn’t know if he had anyone left in town…one thing is for sure….there was no room for them in the Inn. But God provided. 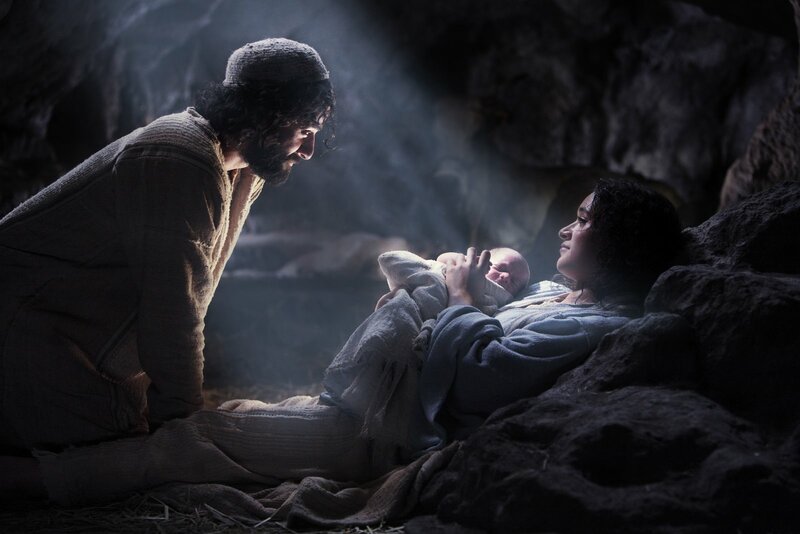 By the time the wise men arrived on the scene, they were in a house (Matthew 2:11). Perhaps of a relative? I don’t know…but I do know…..God provided. The plans God has for you and me are just as detailed. When we leave the plans and directions to HIM, the Master Creator…we will find that it all works out. The pieces of the puzzle all fit together with a click as they snap in place. The job. The marriage. The finances. Even down to the decision of where to go to church. None of these are beyond His expertise! When I read the page for day 5, I immediately thought “party”. I smiled thinking that we (or at least in our area), will turn any event into a party. Hurricane coming? Gather everyone in a safe place and let’s eat! Let’s play some games! What is that, if not a party? Bible Study time? Gather them all together in the living room, get out some cups, plates, forks, napkins, make some coffee, have some juice or iced tea ready, plead with Jeff to make a cake with extra thick icing….and you have a Bible Study Party! You learn from the very heart of GOD and you have you some rejoicing in the kitchen with cake! Baby about to be born? The waiting room is OURS! When waiting on that new arrival—there is MUCH prayer—some eating if he/she takes a while getting here…and then once that lusty cry is heard—it is all out party-time! Christ’s birth is a day to celebrate! I agree with Beth, we don’t know the exact day. BUT we do KNOW He CAME. He lived. He died. He was resurrected. He lives TODAY! I think that is worthy of a celebration EVERY DAY of the year! Father God…thank you for tending to each and every detail of my life. All the way from the difficult ones I can see…to the miniscule ones I might not notice. I praise You, for even in the difficult days as yesterday was, I felt Your presence. I KNEW You had me in Your sight. Nothing escapes Your notice. Thank You for following so closely my heart. Take tomorrow and make it YOURS. For Your glory. Not mine. I love and praise You forever. In the precious name above every name…Your Only Begotten Son, Jesus Christ~ Amen. Please don’t forget, Saturday and Sunday have been reserved for your private–personal devotion time. Let us not neglect it. But cherish the time alone with the Father. He’s been waiting for just that time to share some personal notes with you! Come on back on Monday and share the delights of your soul and weekend with us! This week has been incredible to me. I have learned—and loved every minute of the study time. I find myself thinking about it while driving to and from work! ¹Jamieson, Robert; A.R. Fausset; and David Brown. “The Gospel According to Luke.” Commentary Critical and Explanatory on the Whole Bible. Blue Letter Bible. 19 Feb 2000. 4 Sep 2008. Most of our pictures come from the movie The Nativity Story, which if you have not seen this yet, I highly recommend buying this one! This entry was posted on Friday, September 5th, 2008 at 12:01 am	and posted in 90 Days with Jesus Bible Study. You can follow any responses to this entry through the RSS 2.0 feed. « Praise HIM in the STORM!